Travis M. Smith is the franchise owner and an attorney. After several years in private legal practice, Travis was searching for work with more personal meaning. Around the same time, his grandmother fell ill, and Travis was exposed to the world of in-home care. He quickly saw how in-home caregivers could make a profound impact on families like his own. 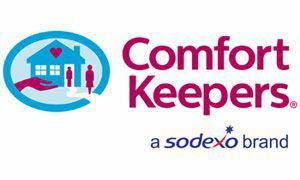 Travis spent over a year searching for the right home care opportunity and was fortunate to find industry leader Comfort Keepers. Travis is committed to maintaining happy, motivated providing excellent quality care for the elderly and disabled, emphasizing the importance of treating Comfort Keepers clients with grace, dignity, and compassion. World Class Franchise - Franchise Research Inst.